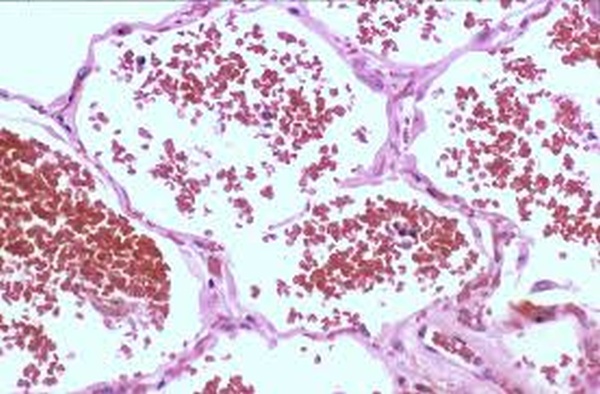 Immunoglobulin A vasculitis (IgAV) is a small-vessel vasculitis with IgA-dominant immune deposits. IgAV frequently involves the skin, gastrointestinal tract, joints and kidneys. In contrast to other types of small-vessel vasculitis, IgAV is rarely complicated by intra-alveolar haemorrhage (IAH). European Journal of Case Reports in Internal Medicine, 2, describes a patient with relapsing bladder cancer who presented with IAH during the course of IgAV successfully treated with corticosteroids alone. This case report reminds us that IgAV can manifest with IAH. There are no robust data to support the systematic use of cyclophosphamide or plasma exchange as first-line therapy for IgAV with IAH.